It seems like every time I open a magazine or gaze upon the interweb there is another food that I shudder to think about eating. In the past few years I’ve discovered that I get sick (stomach ache, gas, or worse) when I eat certain foods. Still others give me hives or headaches. Every one it seems is vegetarian, vegan, gluten-free, dairy-free, intolerant, allergic, and still many other adjectives–all of these terms used to describe our relationship to food.Crack open any Michael Pollan book, as my best friend tells me, and you’ll discover all of our food is almost literally made of corn. Staying in tonight with your Netflix account? Food Inc. has made my brother-in-law think twice about purchasing any meat product at a big box store again. Today another girlfriend posted this link from the Daily Beast, “Dangerous Ingredients,” verifying that fake sweetners and processed foods are, shocker, bad for you. Photo galleries like this one help us to make informed decisions about the food we eat–where it comes from and more importantly what it does to our bodies. I am certainly not knocking the new food revolution. In fact, I think I might be part of it. But, that said, are there any foods we can eat? For this, I default to my power foods which taste good and are good for me. (For a larger list of other ideas you can check out this Belly Bytes article). The foods below make me feel good when I eat them. Satiated. Even–gasp!–happy sometimes. The eggs I eat come directly from the source. These chickens below actually. 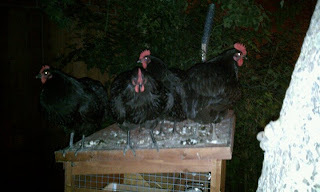 I know where they live, I know what they eat, and I know who cleans their coop (sometimes it’s me!). This fruit, high in protein and potassium, is delicious. I cut them in half and eat them with a spoon. They are full of fat–but of the heart healthy kind. The running joke around here is that this blog should actually be called “Kale & Other Bad Habits” because I eat so much kale and use it often (sometimes it seems in every recipe!). Kale, once used only to decorate plates at the deli, is enjoying its debut as the hottest new “superfood” and is rich in vitamins and antioxidants. Garlic is maybe the best thing ever. I mean, what else can so easily add to any dish? But the best part is that beyond its ability to ward off the cast of True Blood, garlic also lowers your cholesterol. If I feel a cold coming on I saute whole cloves and eat them like candy. Beyond the 2,000 years of Chinese medicine backing it up, eating ginger helps me to digest that giant plate of sushi. It also calms an upset tummy and makes a delightful tea. I just slice off a few slivers and add to hot water to calm my nerves (and any trouble in the soul). It’s caffeine free, it settles an upset stomach, it smells really good, it soothes the throat. Should I keep talking? 8. FishYeah, I know, the oceans are over-fished and mercury is a problem. So maybe I’m a jerk for putting this on my list. But maybe not. Fishes, like salmon or trout or herring, are rich in heart-happy omega-3 fatty acids. Mouth happy and heart happy, a win-win? Your body loves it but most of us run around dehydrated. I’ve never been a soda drinker and have always been a camel of sorts, drinking glass after glass of good old fashioned H20. Protein? Check. Iron? Check? Yummy? Check. 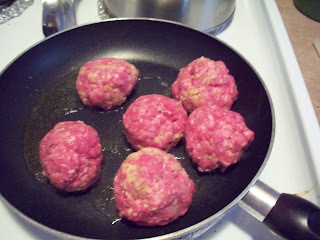 Buffalo or bison is a great substitute for ground beef in recipes for burgers or chili as is ground lamb. Both are red meats that provide a nice alternative to beef. Also, it can be easier to find grass-fed buffalo than beef and for a similar price point. Lamb is a lean red meat that beyond being chock full of protein and iron, also contains important amounts of zinc and B-vitamins. We’ll see if anyone ruins my delusion by telling me these foods are bad-bad-bad too! 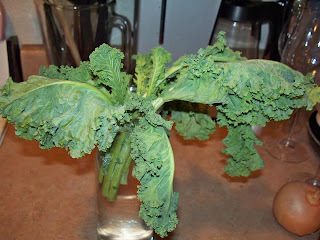 kale, leah charney. Bookmark the permalink. Post a comment or leave a trackback: Trackback URL.